Fell Swoop Theatre has been turning heads with their latest theatre show “Ablutions”. Thursday, 26th March, 2015, the Bristol based theatre company brought the show to Luton’s The Hat Factory. “Ablutions” is based on the novel of the same name, written by the Man Booker shortlisted author, Patrick Dewitt. It follows the story of a Los Angeles bartender as he watches his life, and his customers, spiral out of control. As he struggles with alcoholism, he decides to go on a trip across America, meeting interesting characters along the way. From the moment you walk into the theatre space, you enter the gritty Los Angeles bar. Live music is playing while the lone bartender works. Despite a minimalistic set and no props (the only things on stage are the instruments being played), you get lost within the atmosphere. The cast effortlessly transform from one character to the next, with clear characterisation (a credit to both the actors, and the writer). The acting and music are brilliant, transporting you to the drug fuelled, alcoholic underbelly of America. Be sure to check out Fell Swoop Theatre’s website (www.fellswooptheatre.com) and follow them on Twitter (@FellSwoopTheatr) and keep your eye open for their shows coming near you. You will not want to miss it. For more information on theatre shows in Luton, check out Luton Culture’s website (www.lutonculture.com) and follow them on Twitter (@lutonculture). Unfortunately I missed the first couple of minutes of this 'cause I was running late ( I literally ran from my house in Round Green to The Hat Factory in about 8 mins, just saying!). Anyway, this show focuses on how our generation, (I'm 22 so I still apply I think) are constantly wrapped up on our phones and social media, whether we are tweeting, posting Facebook statuses, or posting pictures on Instagram. THREADS shows the obsession for human interaction, communication, and appreciation on social media and how this has infected and infiltrated our society. This is emphasized by the clever and intuitive use of screen projection and live video which brings the technology to life. The show runs at a fast pace with slick scene changes and the energy is never lost thanks to the youthful cast and the technicians who kept the play fluid. The future for Luton's youth theatre is bright and I can't wait to see their next show. 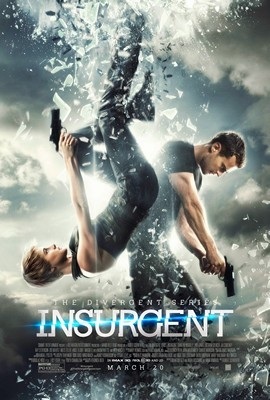 I was really looking forward to watching this sequel, having recently enjoyed watching the first film, Divergent. It did not disappoint as I found myself deeply engaged from start to finish and longing to see the next film in this series. I also didn't know that this was a book series (until my brother mentioned it) and I definitely will be looking to collect all the books written by Veronica Roth. I look forward to comparing them to the films, although I always feel like you should read the books before watching the films... ah well. This is well worth watching guys! I watched this show at The Hat Factory on the 12th March 2015 having previously gone to Two's Company ( @twoscompanyltd ) workshop earlier in the week. 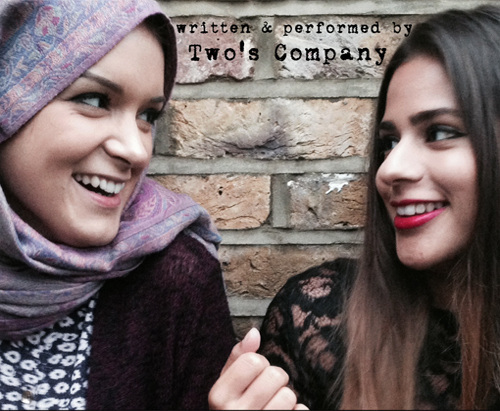 This is where I learned about how these two girls ( Fadia & Nyla) met and their cultural backgrounds as well as the concept for this show and the technique which they used, called headphone verbatim theatre. The set up on stage was simple but effective in a way that allowed the acting out of people's interviews to be portrayed with an obvious sense of realism and truth. The headphone verbatim technique, (Google it!) allowed me as an audience member to really become engaged with the various personalities played and also as the topic was on ethnic backgrounds and race in British culture (interviewees based in Leeds) there were some shocking and controversial but also humorous and delicate moments which had me immersed from start to finish. I was impressed by how the two girls seamlessly switched from one person to another whilst keeping energy levels and performance quality high.I would definitely recommend going to see this show to young adults as you will enjoy the performance whilst developing your own opinion on a subject we don't always like talking about openly. I came away from different is dangerous in thought about my opinions on the subject about my place in British culture coming from a Jamaican background but being from London and also living in Luton. This has inspired me to possibly create a similar show based on the views of people in Luton! 100% Young Producers has amazing and exciting projects coming up in the near future and we are now in the process of recruiting amazing and exciting people to join our team. If your interested in becoming a young producer click here , fill in your details and we'll be in touch! If your not 100% sure yet, keep your eyes peeled as we'll be hosting something which we hope will leave you no choice but to join us :) #JOINYOUNGPRODUCERS #idid .